Trout is a species of fish that can be safely eaten. It’s found all over the world and you will find species of different sizes and colors (and spot patterns for the spotted ones) depending on their country of origin. If you’re curious as to how trout tastes like, let me tell you right now that it doesn’t taste like chicken. It tastes like fish, but it’s also referred to as the “chicken of the sea” because it generally carries a mild or bland flavor. Don’t worry, this article is dedicated to describing the real taste of trout. I will also compare it with other types of fish to give you an idea as to its taste and texture. To compare the taste of trout with other types of fish, I want to present to you a grouping of fish according to their taste. As you can see in the above grouping, trout belongs to the mild, bland tasting group. However, the flavor of trout will also depend on where they were sourced (or caught). From freshwater sources, freshwater trout have bland taste. The reason for this is that they live all their lives in an environment that’s low on salt (bland water). Their diet is likewise composed of organisms that live in the same environment. Saltwater trout live in waters with high concentrations of salt all their lives. Because of this, their meats are more flavorful when compared with freshwater trout. If the source of water is clean, you will harvest trout with flavorful meat (pleasant flavor). Still, some people find the taste of saltwater trout too strong and gamey (unpleasant for some). Farmed trout are kept in ponds. If the water system is protected from contaminants, the fish are clean and safe to eat (and pleasant-tasting). As with other types of farmed fish, however, the cleanliness of such a setup is not without controversies. In fact, some people refuse to eat farmed fish for the simple reason that they are confined in a limited space and are swimming in their own poop. Note: Fish activities also play an important role in the ultimate taste of their flesh. With more movements (swimming), the fish will develop more muscles. Furthermore, their meat will be more oxygenated when compared to inactive fish. It is for this reason why wild types of fish are generally more flavorful than farmed fish (limited movement in confined spaces). As you already know by now, the place of harvest (or source) is one of the main factors that affects a trout’s taste. However, listed below are some of the things you should know when it comes to the flavor of trout. 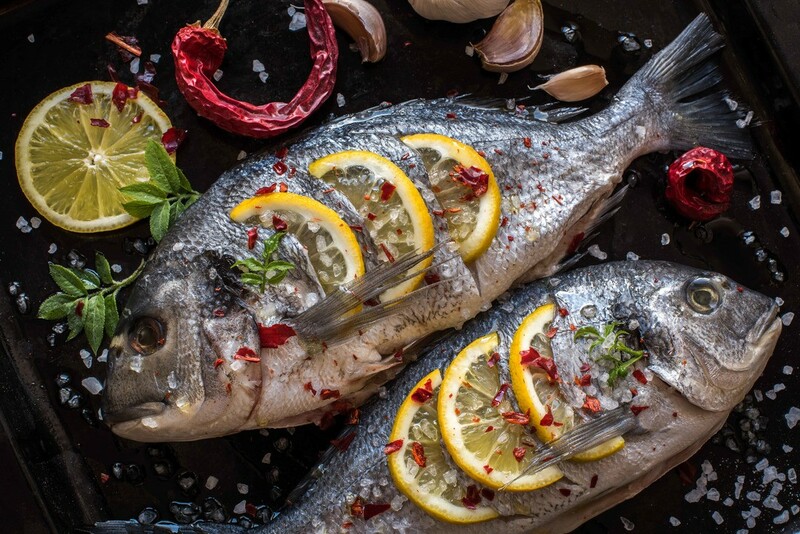 How a trout is prepared (before cooking) also affects its taste. The method of cooking also affects a trout’s taste. Fresh trout tastes better than frozen trout. Rainbow trout (a variety of trout) is known for its (mildly) sweet taste. Steelhead trout (a variety of trout) tastes somewhat like Salmon. It’s also mildly sweet-tasting. Trout are bony and their ribs are structured in such a way that they’re not that easy to eat. To clean trout, gut and wash them well. You can leave their heads on if you’re going to cook them whole. Because trout are bony, they’re best cooked whole. And if you’re going to cut them, cut in large slices. Brush trout with olive oil. Bake for about 10 minutes or until done. Grill each side of the fish until cooked. Note: As much as possible, don’t flip the trout too much. Remember that its meat is very delicate and the whole fish can fall apart with constant flipping. Season the trout with salt and pepper. Cook fish in the oil until done. Season trout with herbs and spices. Set the smoker to 300 degrees Fahrenheit. Smoke and cook for about 3 hours (or until done). Remove from smoker and serve. Cut up some ginger and onion to garnish the trout. Position the fish in the steamer. Steam for about 15 minutes or until done. Remove from the steamer and serve. You can cook trout using recipes with sauces. For this method, you can choose to cook it in the oven or over the stove. Place the fish in a baking dish. Cover the fish with the mixture sauce. Place the fish in the sauce and allow to simmer for a few minutes. Note: There are recipes that coat the fish in a flour mixture. This procedure results in a crunchy crust and makes the fish crispy outside. Trout is a healthy type of fish (rich in protein and fatty acids). It’s a quick-cooking fish (tender meat). Q: What does freshwater trout taste like? A: In general, freshwater trout are bland in taste. Q: How would you describe a trout’s taste and texture? A: Depending on the type of trout, where they’re sourced, and how they’re prepared, their flesh can taste anywhere from bland to gamey. As for the texture of the meat, it’s very delicate and will easily fall apart while cooking. Q: Does trout taste like salmon? A: There are varieties of trout that somehow resemble the taste of salmon – that’s why you can sometimes use trout in salmon recipes. In general, however, salmon has a stronger, sweeter taste. So, if you’re looking for a salmon-tasting trout, go for the Rainbow and Steelhead varieties as they’re known to be the sweetest types of trout (though not as sweet as salmon). 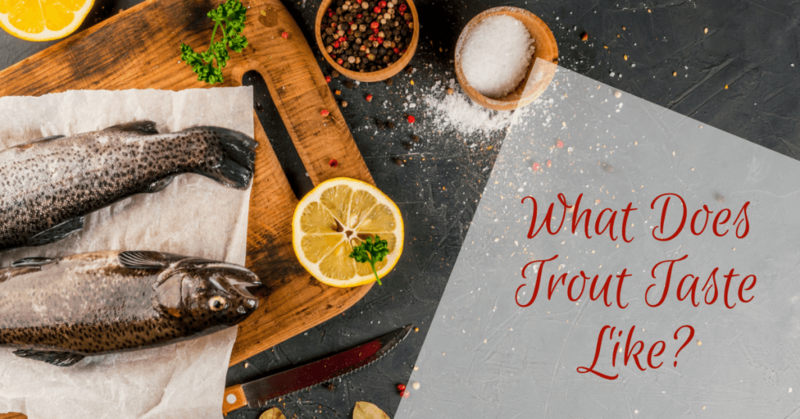 Q: What’s the flavor profile of trout? A: Trout falls under the category of mild-tasting fish. Q: How does trout’s taste compare to tilapia? 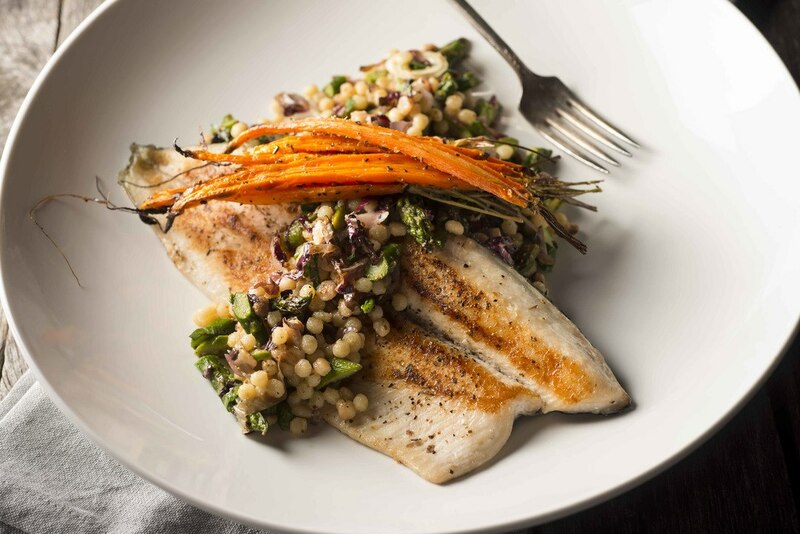 A: Trout has a milder flavor compared to tilapia. Trout is also more nutritious than tilapia. Q: What does steelhead trout taste like? A: A steelhead trout’s taste can be compared to the taste of salmon, but it’s milder. Like the Rainbow trout, it can also be used in salmon recipes. If you really want to try eating trout, I have 3 simple recipes for you. You then need to wrap the fish up in a foil before putting it on the grill. Cook it at low heat (around 200 degrees) and it will be done in about 15 minutes. You also need to season the fish with salt and pepper. And after that quick preparation, simply put the fish in the oven (350 degrees) and cook the trout for about 20 minutes. Clean the fish. If the trout is too big to fit in the pan, you can cut it into pieces (big pieces). Heat some olive oil in a pan. Fry the trout (about 3 minutes per side). Before it finishes cooking, add some butter on top of the fish. Note: Add the butter when the fish is almost done (to avoid burning the butter). So, what does trout taste like? I’d say it tastes like fish – but with its own flavors (like other types of fish). 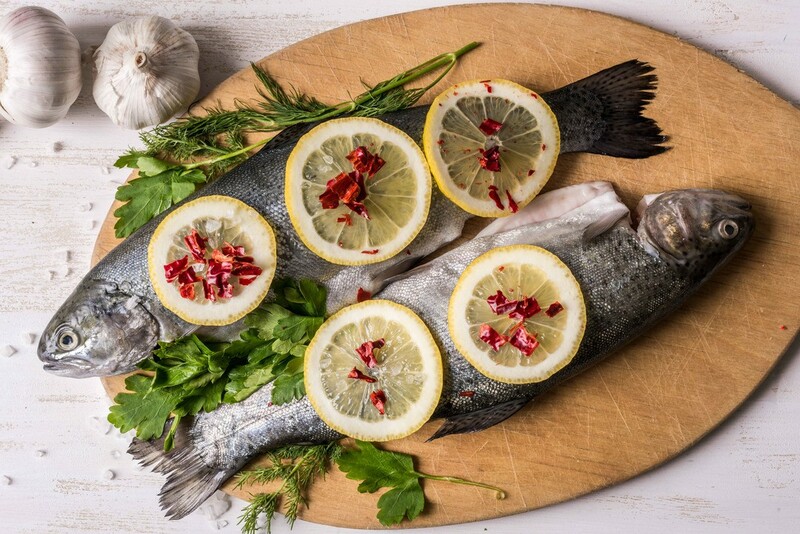 Keep in mind that the trout’s final taste will depend on its source, the way it was cooked, and the ingredients used. 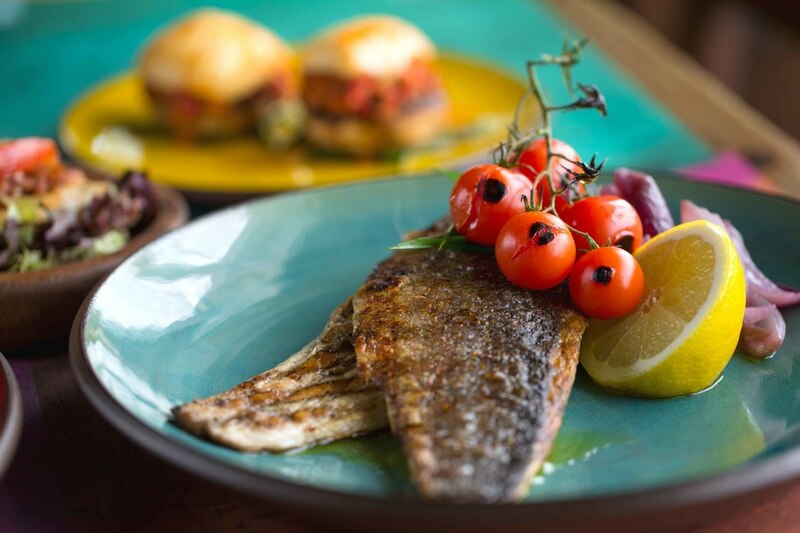 Fish lovers should really try trout – so, if you are one (a fish lover), go for it. I think you would like it. Look for the Rainbow or Steelhead trout as they’re the most popular. Let me know how it goes (leave your message in the comment section below). And if you found this article useful, do share it with others. How To Tell If Chicken Breast Is Bad: Take Notes To Restore Your Food! Are Pickles Paleo? What You Need to Know About Pickles?